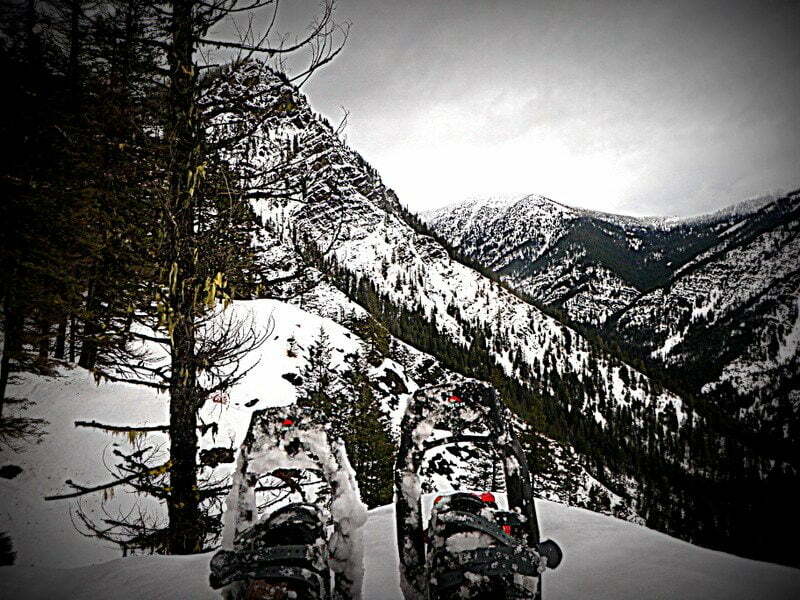 When I think of late season hunting boots, I think of deep snow stacking up in the high country and plummeting temperatures. These weather elements are your biggest obstacle to your ability to remain on the mountain day after day. What you choose to put on your feet will be a deciding factor in your ability to enjoy your time afield and to get to the destination you have chosen. My mind wanders back to the days of climbing in Sorel boots that offered great warmth but were extremely heavy, provided minimal ankle support, and traction was not the greatest. This was fine for my 20 year old body, but today’s 50+ year old body is always considering the weight of the boot, support, for my ankles, and the ability to stay upright in bad conditions. 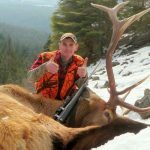 Today’s boot manufacturers are always upgrading the offered models warmth-to-weight ratios, enhancing support and creating boots that provide comfort for a broad spectrum of hunters. Schnees is one of those companies. Based in Bozeman Montana, they were founded in 1946 and pride themselves in providing best-of-breed footwear. 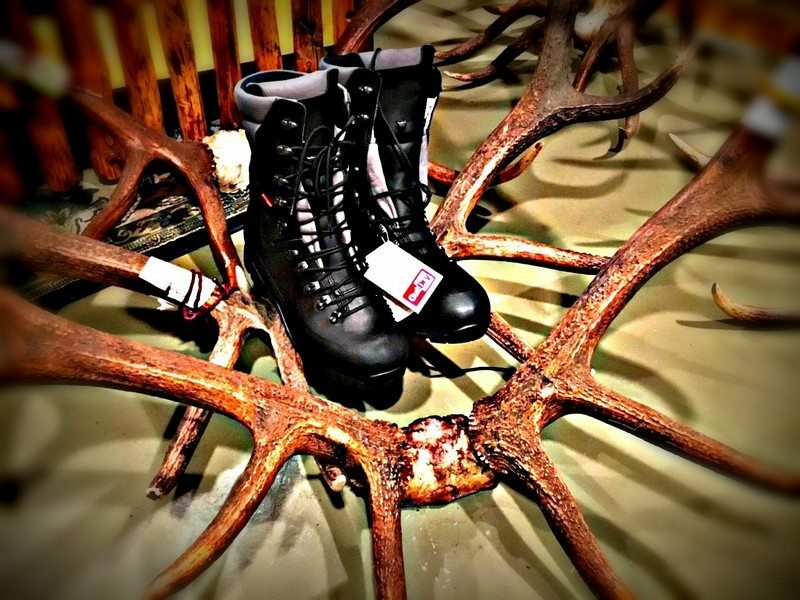 In the fall of 2017, they came out with a new line of boots falling under the heading of Performance Boots. I had several hunts lined up in the fall of 2017 and would be shed hunting through the winter, so I chose a pair of the Schnees Granite VI’s. When the boots arrived I found that they run a little small. I typically wear a 9.5 in my boots and found that I needed a size 10. I made the swap and after one quick work out in the gym wearing the new boots, I felt confident I could venture out with them with zero break-in and not suffer any negative consequences. A wise hunter breaks in his boots prior to wearing them in the mountains; otherwise you are setting yourself up for foot related issues. 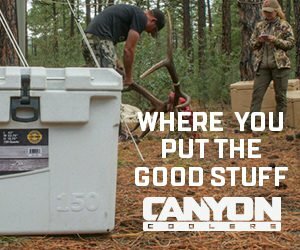 We know the old adage, if your feet aren’t happy, you aren’t happy and your hunt can be ruined by the lack of a proper break-in. 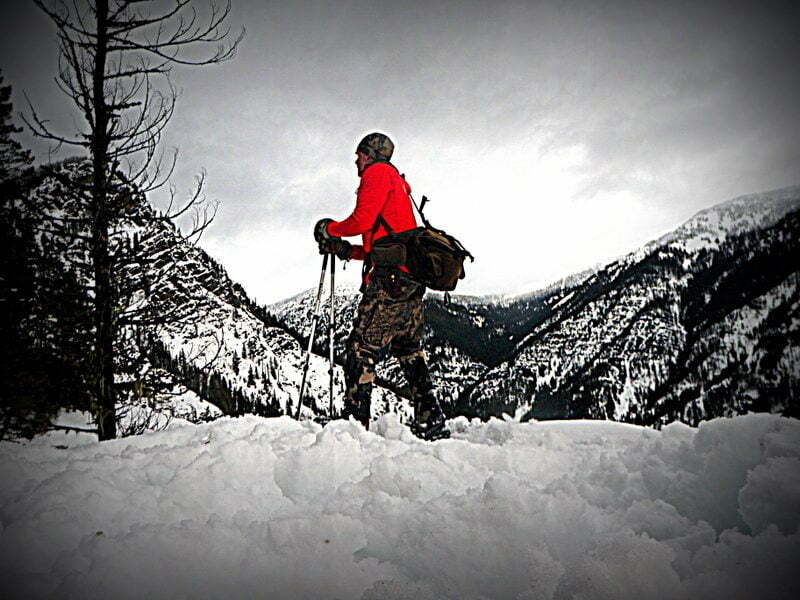 The first hunt I wore the boots on was a late October elk hunt in Washington. 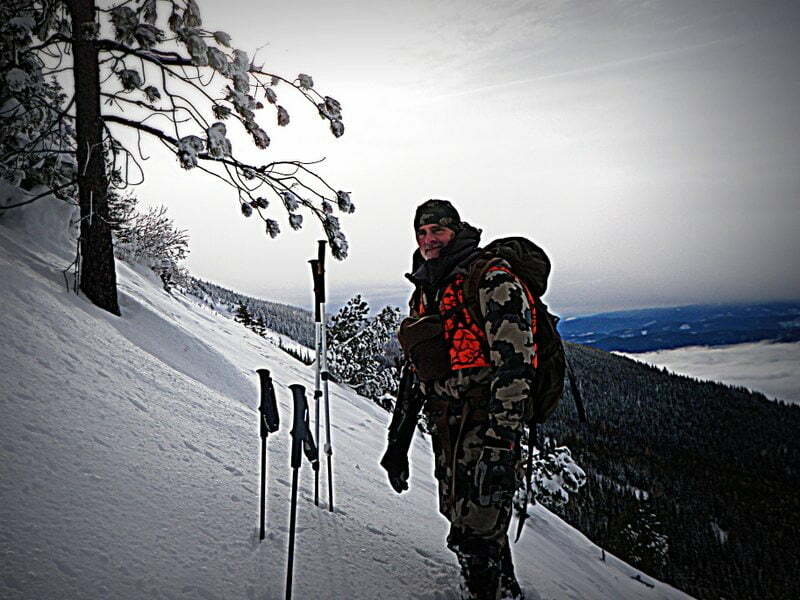 This hunt started out with high country snow and very cold temperatures and ended with much milder weather. The country was a good test of lateral support with several days of navigating dark timber and steep rocky descents in country that took hours to climb out of. 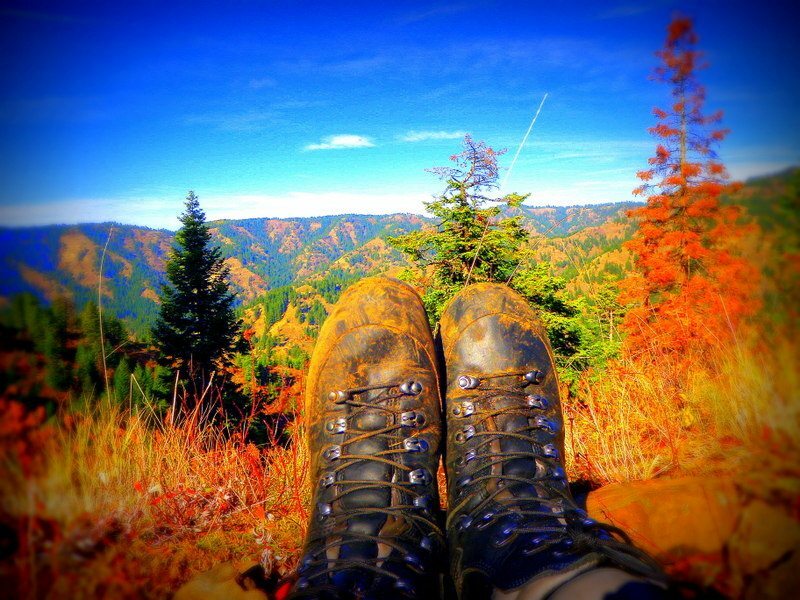 Throughout the week, never did I feel lacking in ankle support and the stiff sole kept my feet comfortable in country that often felt more like sheep country than elk country. The traction was solid, provided by way of an exclusive Vibram Tsavo outsole (excellent grip on all surfaces due to self cleaning profile). Even with the warmer than expected temperatures my feet did not pay the price with blisters or getting overly hot. On the sustained climbs for several hours with added gear for this time of year, I did work up a good sweat in the boots, sufficient to change socks and create one blister. With the change of socks, I was able to remain on the mountain throughout the day with comfortable feet and no concerns of cold feet. In the country I venture into, it is not whether you will get wet, but more so how wet will you get and how long will the varying conditions last. 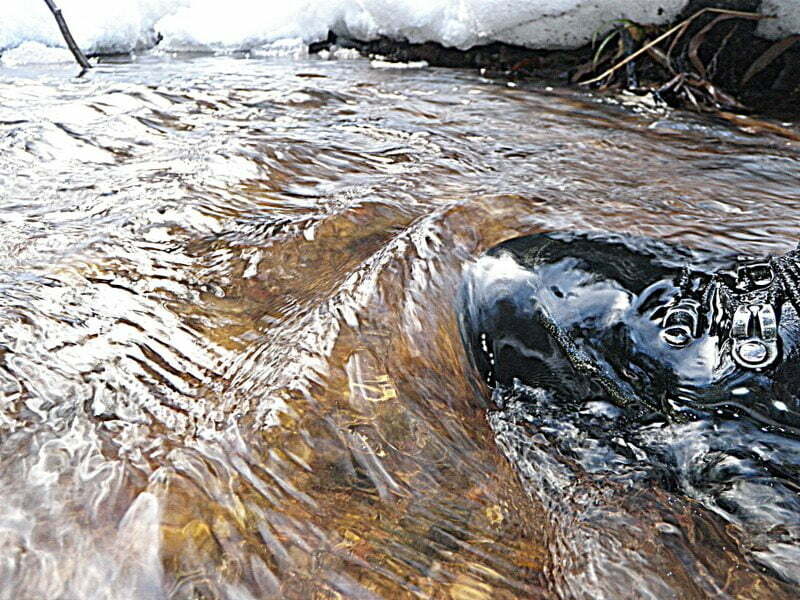 I was very curious about the Outdry technology and whether I could remain out all day in wet conditions with dry feet. To date I can say yes, when the conditions are wet and miserable, the boots have kept my feet dry in varying conditions, allowing me to remain out in comfort. 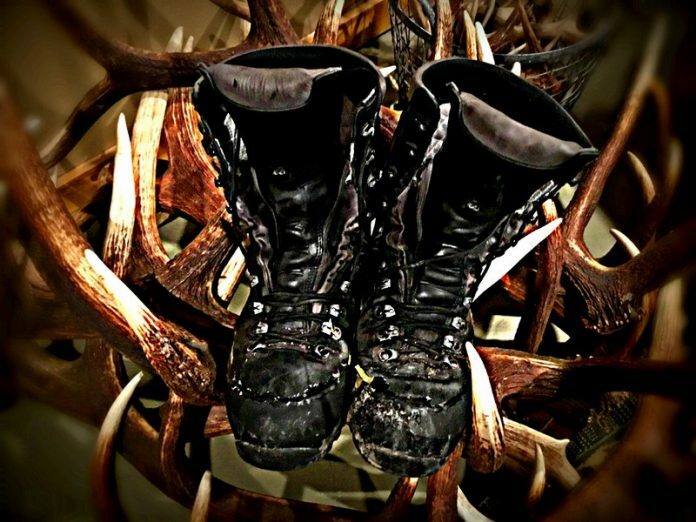 Once hunting season was over, I had a chance to test the boots further completing the break-in period with several days of shed hunting. 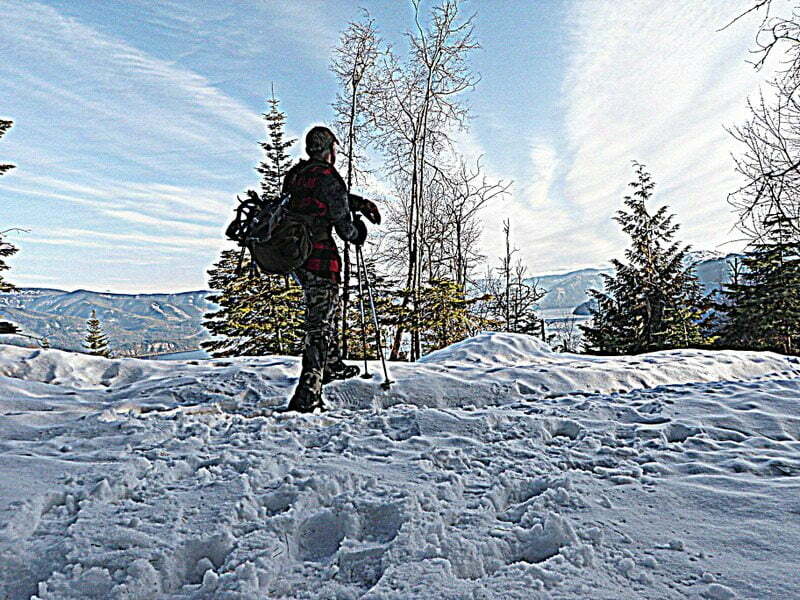 They again have passed the test providing very good comfort on days of endless hiking with solid support on and off snowshoes. Also, the Granite IV’s feature a large toe box to prevent toe related issues on steep descents and stiffness to protect and provide comfort to your feet when carrying weight or traversing in country that stresses your body. 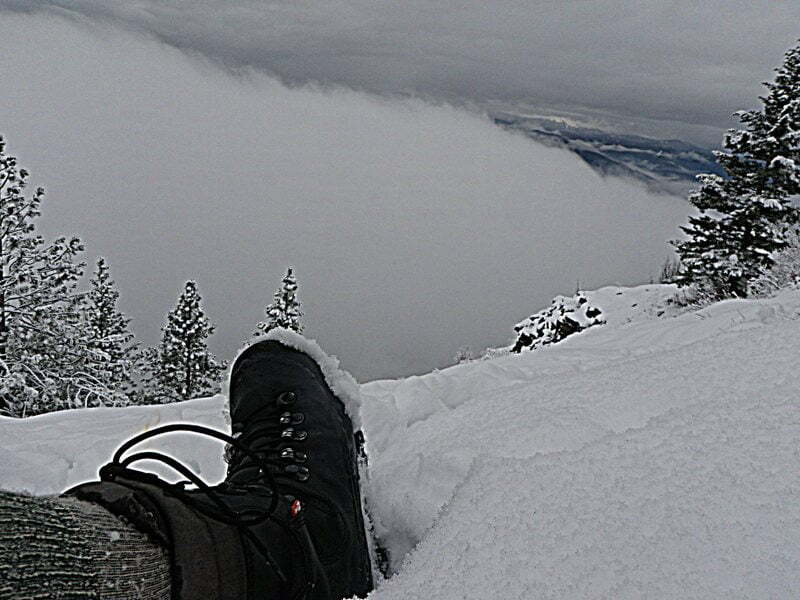 When climbing for extended distances and in conditions that are difficult due to snow and elevation gained, the weight of the boot is always something to consider. The boots weigh in at a modest 4 lbs 14oz and never have they felt too heavy on sustained climbs of several hours. A few items to comment on. Due to past issues on boots with the rand, I did apply a coat of free sole to the rand. To date there are zero issues with the rand after extended use and in varying conditions. I applied Obenhaufs boot wax on the leather to soften the tongue and provide additional water protection to the boot. Due to recent plantar fasiciatis issues, I changed out the insoles to one designed to address this condition, the Softsole Fit. The lacing system for the boot is called Easy Rollers and I have had zero issues with the design or quick lace hooks. After hundreds of miles in varying conditions and in very rugged country the boots show zero wear issues, other than the battle scars of many adventurous days in the mountains. For the late season hunter looking for an all mountain boot that will provide comfort, warmth, stability, and meet all conditions the mountains can throw at you, look no further than the Schnees Granite VI! Check out the other boots in the Performance Line here. You can ask Ross questions or discuss this article here.